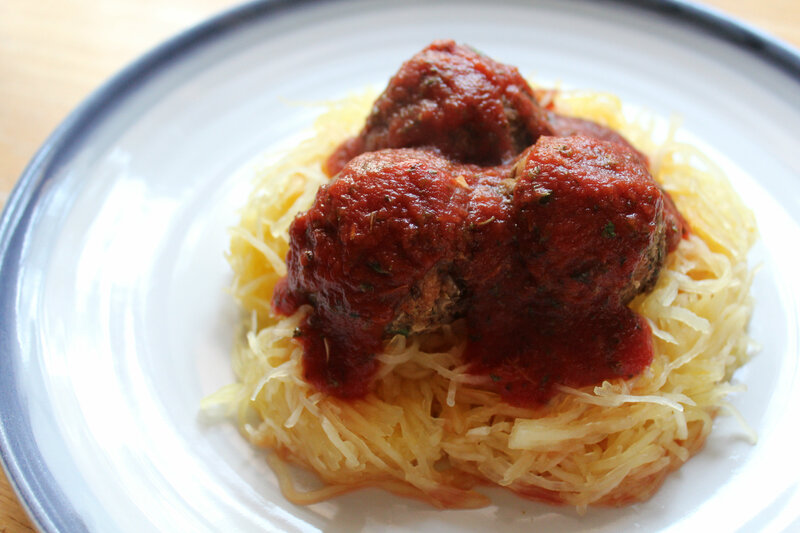 These “meatballs” look so delicious! I love the combination of flavors. 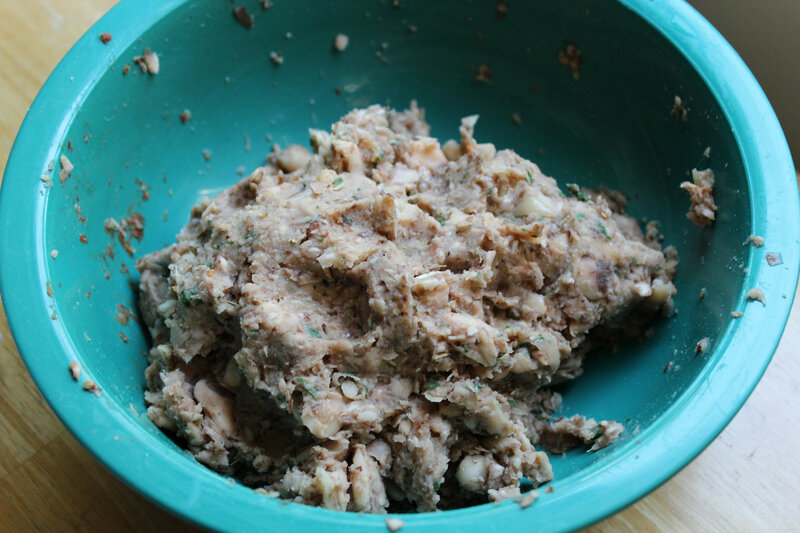 I put flaxseed meal in my meatballs as well… love the texture it brings! No texture, just vegan binder. OMG This is genius. I need to make this for my family for sure. I am not a big meat eater so I know I will like this version way better 🙂 Pinning! 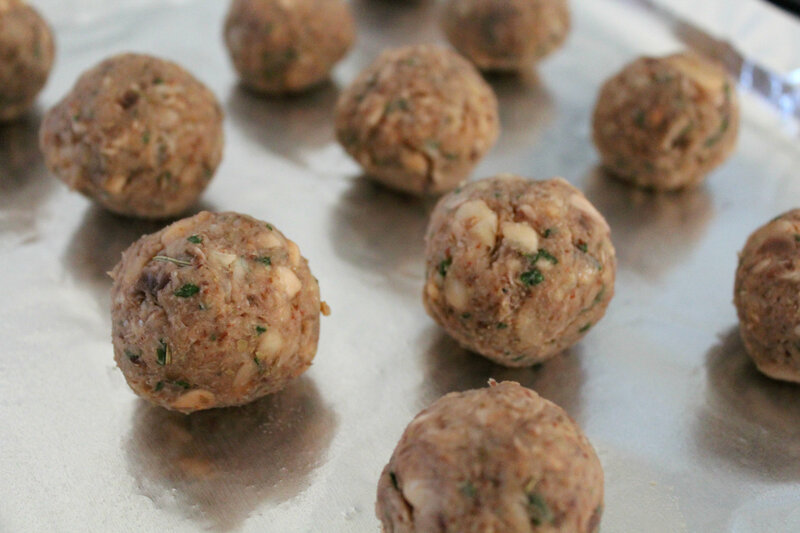 I am making these “meat”balls SOON! They look great! Pinning yet another of your posts, and thanks again for sharing at Tips and Tricks Tuesday! Looks absolutely amazing! 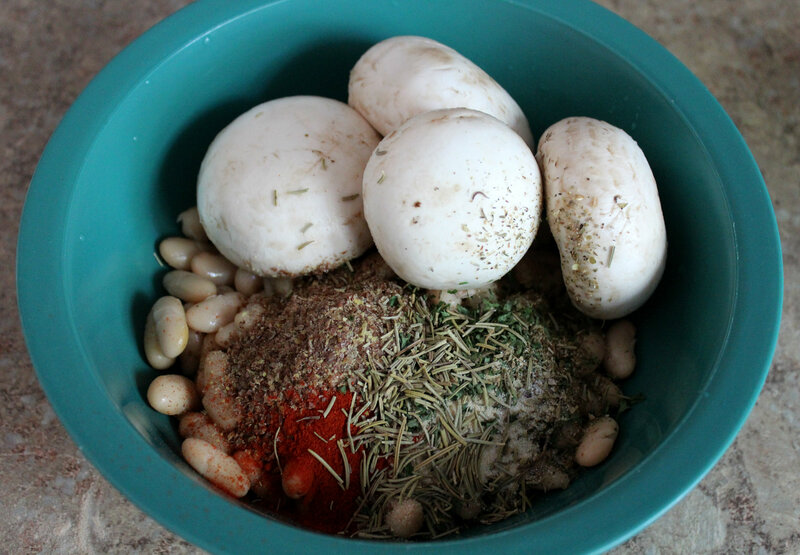 Thanks for linking up to #RECIPEFRIDAY! Its the best! 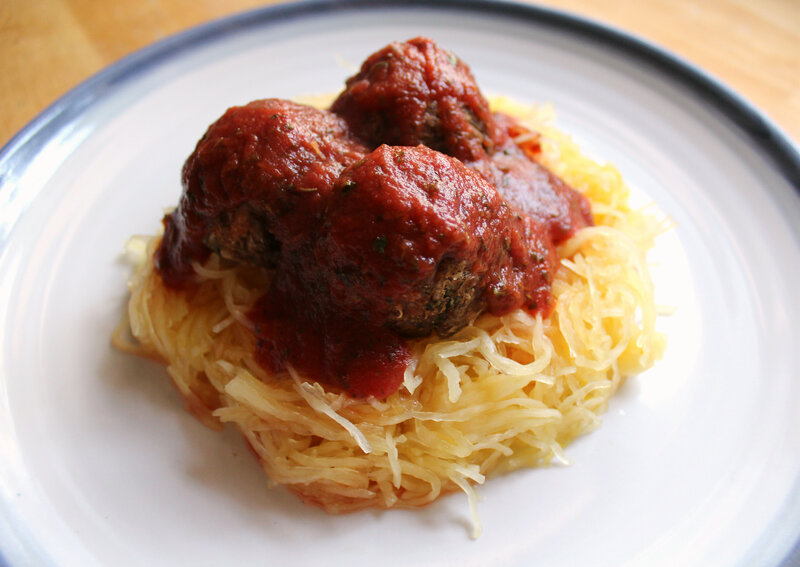 But I loath preparing spaghetti squash! Thanks Amy! And I am so jealous 😀 I wish I had the money and time to go! 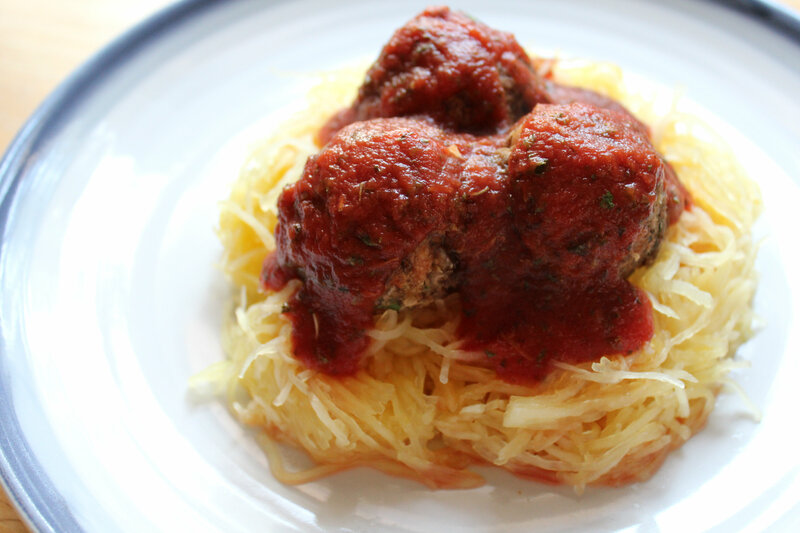 This looks delicious, and you are right, it looks just like the good ole’ full fat, high carb stuff! It’s great that you have found ways to eat what you love!